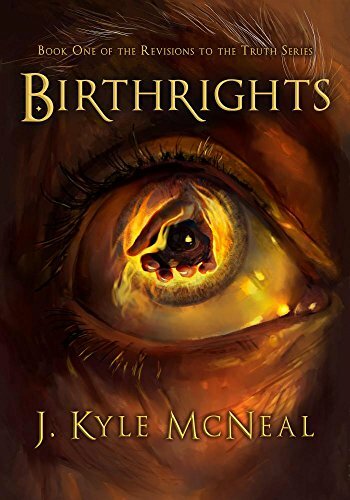 “Birthrights,” by J. Kyle McNeal, is a high fantasy novel that tells the story of two young men trying to escape the reputation of their family’s past and find their way in a highly complex and war-scarred world. The first in a planned series of four, McNeal’s “Birthrights” has two main protagonists – Whym, poverty born and belonging to a disgraced family of former rebels, and Quint, privileged and endowed with religious and political power. Both boys leave their homes, and find their stories overlapping and interacting in a world heavily influenced by the lives they were born into. Ultimately, both characters learn and change, leading to an ending that left me wanting more. What McNeal excelled most in doing was in answering the philosophical questions of one’s birthrights, religion, and truth. As Whym and Quint’s stories progress, the reader is given different perspectives from the past and the present. The novel is multi-generational, as well as written through different perspectives and timelines. Yet, throughout the story, McNeal is able to manage a semblance of common philosophical themes. I applaud his ability to weave a world and set of characters together that ask the deeper questions of life, not just within the story itself, but of the reader and their own world. In just one novel, he accomplished what many writers seek to accomplish throughout a whole series. However, it was the rich and complex nature of this story that I felt also became its biggest fault. McNeal’s world was complex, and while the narrative portrays this, it became jarring to read at times. Like most fantasy novels, McNeal spent a large amount of time world building. The world building here seemed inconsistent throughout the novel. At parts McNeal wrote with a zeal that was wonderful to witness, but left the reader with few details about what was happening with the characters or the larger world. In other parts, he spent pages upon pages of telling us about the world without using the tools of character actions or events to really show us what was happening. At times, this broke the flow of the narrative and left me wanting to skip over the world building just so I could get back to the actual plot. While I love McNeal’s venture to create such a complicated work, I felt both the pacing of action and world building could have been better. This was a wonderful first novel of a series, but realistically, it would have read better had it not tried to accomplish so much within the first book itself. What was lacking most in the novel was the nuance of simplicity that draws a reader in and keeps them going for an entire series. Despite this, McNeal’s writing was solid, and his characters felt real, with even the background characters playing significant roles in the plot. “Birthrights” by J. Kyle McNeal is for anyone who loves fantasy and is ready to tackle a complicated and fantastic world from the start. He begins the narrative in the middle of rebellion, and keeps the pace of this moment throughout the novel. It was equal parts philosophical and practical, begging questions from the readers that will surely have them excited for the rest of the series.